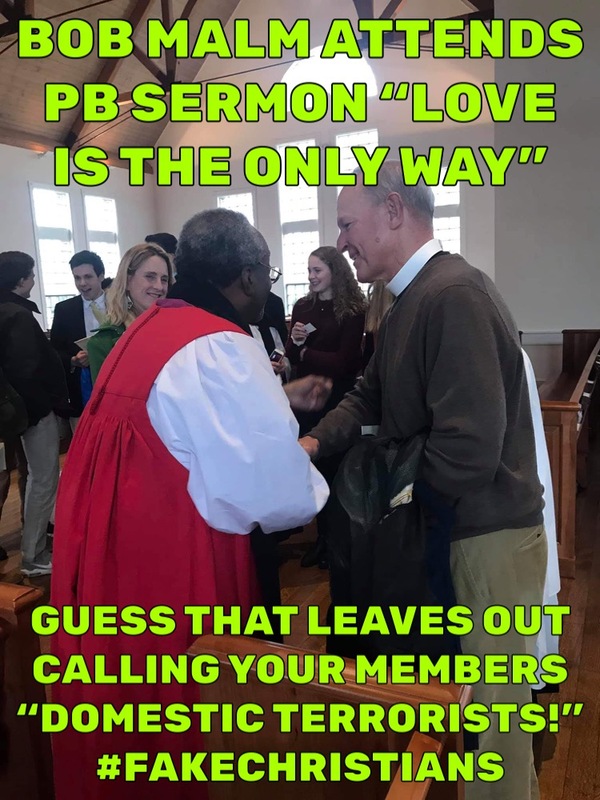 Michael Curry, presiding bishop of The Episcopal Church, recently delivered a sermon, “Love is the Only Way” at Episcopal High School. Scum priest Bob Malm, here in the photo, attended. Curry and Malm were a year apart in divinity school.